Imagine being able to view issues from multiple Jira applications on one board. WatchTower does that easily. You can view issues and use familiar board features (swimlanes, JQL, and dragging issues to update status) without logging in to multiple Jira applications. I wish I had know about this add-on sooner! First I installed the application in my Server instance. It was very easy to install and configure. In minutes I created a new WatchTower board and saw issues from my Cloud instance from inside my Server instance. From the board, I was able to launch an issue in its source application and update it. Then, I refreshed the board and the changes were visible immediately. In the example screenshot, there are two issues from the “HR” project in my Server instance, and 5 issues from the “DEMO” project in my Cloud instance. I also installed the application in my Cloud instance to test another scenario. I added the current Cloud instance as a source and also a different remote Cloud instance. Everything worked as expected from within Cloud. 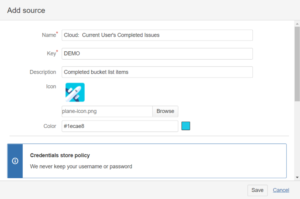 In the example screenshot, issues are displayed from a Cloud instance named “DEMO” and another Cloud instance named “JA.” You can name the instances anything you’d like. I love that you can display issues from only remote sources or from both remote sources and the application you’re using. It’s great to see a subset of data, a full picture, or to do a comparison. The add-on is fully documented, but unless you’re new to boards in general, you probably won’t need much configuration or use help. I once worked with a company that had 4 instances! The goal was to eventually merge them together, but that’s never a quick task. So how do you give users visibility while waiting? Whether your end goal is to merge or not merge, having a tool that can help you connect instances is a big help. Let’s say you’re working on a Jira merge. This plugin can help you verify that the data you expect from the source application actually exists in the destination application. Simply create one board and query for the same data in both applications. This functionality is especially useful for consultants, like me, who regularly work in multiple Jira instances at once. For example, I track most of my work in my own Jira instance. Sometimes a company I’m helping assigns an issue to me in their Jira instance, which is perfectly understandable. Now, I can see all my issues in one place. Additionally, I store my work tasks in a Server instance and my personal tasks in a Cloud instance. I do this to separate my different roles and also because it forces me to be aware of changes in each application type. Now I won’t have to log in to my secondary Cloud instance as often. 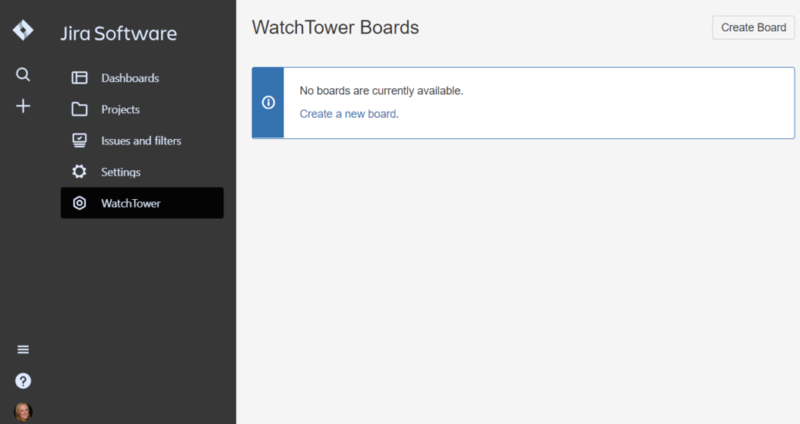 The WatchTower boards don’t have the Atlassian board feature where you click an issue and details appear to the right of the board. See screenshot. But to be honest, I never loved that abbreviated display. If I want to see issue details I prefer to open the normal issue view page. That’s the way WatchTower handles it. Click on an issue ID and the issue opens immediately in a new window. You can log work on a remote issue directly from the WatchTower board however. There are three sharing permissions. “Browse Board” allows the listed users to view the board and do nothing else. “Work on Issues” allows users to view the board, log work, and add a work description. “Transition Issues” allows users to do everything previously mentioned plus change issue status. This additive behavior was confusing to me at first, but once you know that “Transition Issues” includes the permissions from other levels, it makes sense. It doesn’t appear that you can grant sharing permissions to groups of users. One thing to be aware of: any actions will be logged in the remote system as performed by board owner. The WatchTower boards are a little slow to load, but so are regular Jira Scrum and Kanban boards. Atlassian is making incremental performance improvements on their end. TIP: Speed up your boards by limiting their scope. Use JQL to pull in just the relevant issues, not all project issues. Definitely filter out issues in “Closed” or “Done” status. Adding a second, external Jira source didn’t create a huge delay. Of course my test was with only 10 issues. Don’t expect hundreds of issues to display quickly in any board type! And of course, if any remote instance is already slow or down, you’ll have expected loading issues. At one point, the connection to one of my sources broke. It was a quick fix though. When I loaded the WatchTower board, it alerted me to the problem, and where to fix it. Bottom line: Any loading slowness caused by many sources and many issues is easily outweighed by the ability to see all your issues in one view. How many instances can you connect? There’s currently no limit although in the future the number of instances may be driven by pricing tier. You only need a license for one instance, not a license for each remote instance you’re connecting to. What if the instances have different users? Example: My username is “rachelw” in app 1 and “rwright” in app 2. It’s no problem; each user authenticates with their specific system credentials. TIP: Avoid using “currentUser()” in your source JQL queries if you have different usernames. How do you handle different statuses per instance? Map statuses to columns like you would for a Scrum or Kanban board. Differing statuses are handled the same way as different statuses between projects in a single instance. You can also not map certain statuses. A WatchTower board alerts you if there’s a status not mapped to a column. What happens when source data changes? Simply refresh and updated data will be pulled from the source(s). At this time, there’s no automatic prompt to refresh. Account credentials are used once to access the source application and are then stored in a token. Jira’s built in security mechanisms are respected. To see issue data you need an authenticated account in the source application. You cannot view issues you don’t already have permission to see. Look for a new menu, in the main navigation, labeled WatchTower. All remote boards are in this area. Scrum and Kanban boards remain under the “Boards” nav link. This plugin is installed from System > Add-ons > Manage add-ons like other plugins. There’s only one configuration option for application admins. It’s located at: Admin > Add-ons > Configure. Look for the left sidebar link under the “WatchTower” heading. This plugin is simple but powerful! If you have more than one Jira application at work, a work and personal instance, a side Jira administrator gig, or are a consultant, WatchTower can help you quickly and easily view all your issues in one place. I’m looking forward to not logging into my Cloud instance as often. 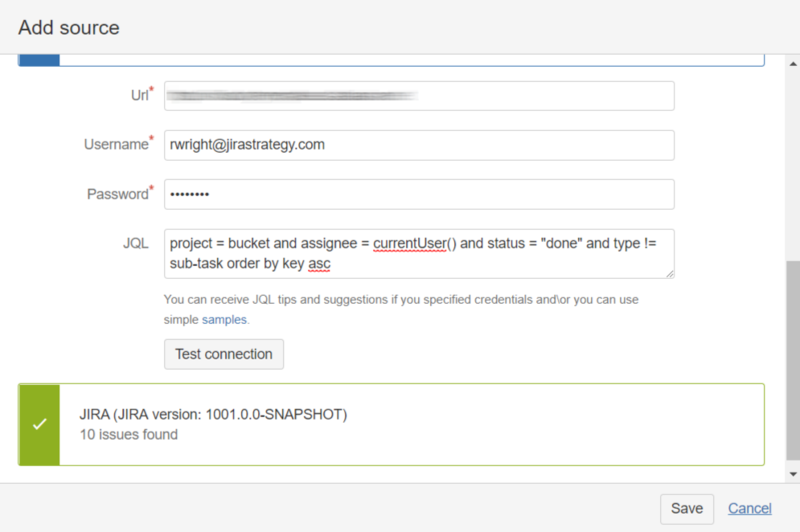 The Jira Strategy Admin Workbook helps you review and vet apps! There are a plethora of plugins and add-on features available in the Atlassian Marketplace. But haphazard installs and free trials can leave behind remnants that negatively impact the system after the trial ends. You should develop specific procedures for handling add-ons and customization requests. Use our plugin vetting worksheets to craft your procedure. I regularly review applications, add-ons, or plugins that I like! Have an app users should know about? Tell me about it at: info@jirastrategy.com. Do you get sensory overload when you visit the Atlassian Marketplace? The current plugin count shows over 1,600 offerings for Jira alone. Too many choices can be paralyzing. How can you identify which apps will be truly useful and worth the effort of maintaining? 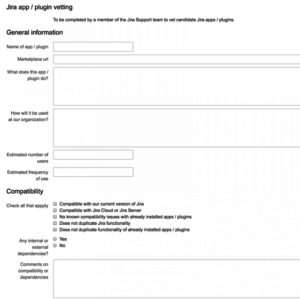 What is the best strategy for vetting Jira apps? Start by setting up a process by which teams can request an app. At the very least teams need to provide the name of the app and the Marketplace URL. Getting more information, like what the app does, why the team thinks they need it, and examples of how they will use it will give you a solid basis for making a decision. After you’ve had a chance to check the price and ensure that the app is compatible with the your Jira application, you’ll also want to confirm that leadership has approved the app and is willing to pay for it. Also, check that the security team is on board with adding the plugin. Hmm… you need a process for placing requests with specific pieces of information from the requestor; a way for an agent to add more information to that request; and a mechanism for recording management approval – sounds like a job for ProForma and Jira Service Desk! Does the app/plugin duplicate functionality that is already available, but underutilized in Jira? How much will the app/plugin be used? How frequently? By how many users? How many teams? In how many projects? Does the app/plugin allow you to leverage Jira, making Jira relevant and useful for more teams? Does it come from a trusted source? Is the app/plugin a good value compared to other solutions for resolving the problem? Does the app/plugin provider offer adequate support? Teams requesting new apps are doing so because they believe the app will resolve a specific problem or pain point. New apps, however, also impact the Jira Administrator and Jira Support Team. Every app will add another layer to manage. However, some apps may actually relieve some of the Jira Administrators pain points as well (too many custom fields, too many custom workflows, etc.) An app is of greater value if it’s useful for both teams (and different types of teams) and Jira support staff. 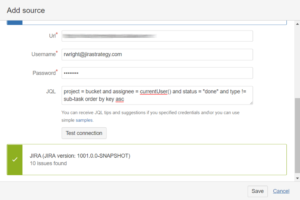 Having developed a process for vetting Jira apps, next you will want to test the new apps before deploying them into production. In her excellent resource, the Jira Strategy Admin Workbook, Rachel Wright outlines a clear procedure for testing new apps. She also provides a packet of worksheets which can be used for vetting, installing and announcing new Jira apps. While you’re looking at Jira apps, we hope you’ll check out ProForma Custom Forms & Fields for Jira. 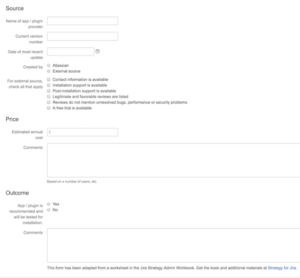 ProForma makes it easy to create forms that embed in Jira issues, allowing you to add all of the process-specific fields you need. Since every field added to a form is a field you don’t need to add to the issue, ProForma can greatly reduce the need for custom fields. Forms are also the key to leveraging Jira’s flexibility to serve more teams. HR can create forms to track the data they need in Jira and Marketing can create forms to track the data they need. You’ll be making Jira admin easier even as you bring more teams into Jira. Jira is a great tool for business teams because it’s so easy to customize. After all, the information a software team needs to track will be different from the information an HR team needs to track. 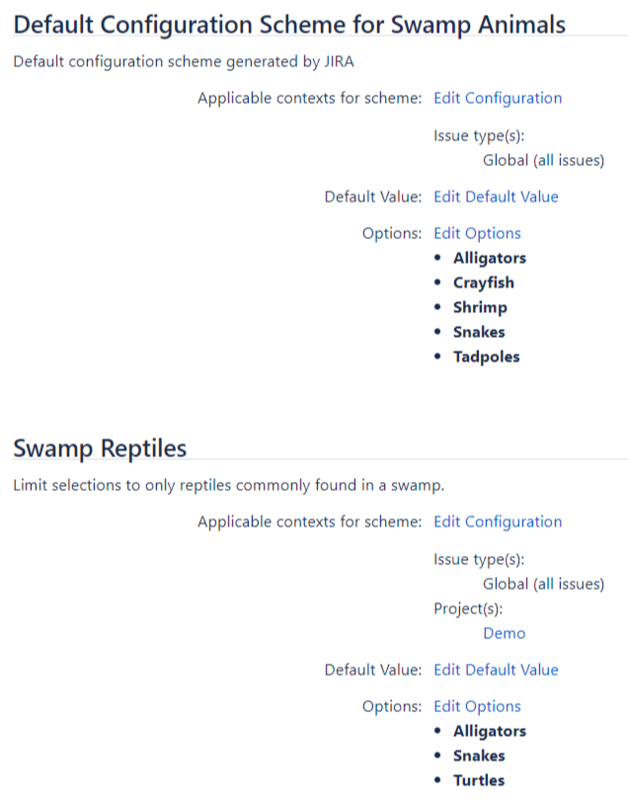 You can create custom fields to collect information that doesn’t fit in standard Jira fields, but be careful lest you fall into a murky swamp of slow performance and more custom fields than you care to manage. In fact, Atlassian has identified the number of custom fields as the attribute which has the highest impact on the speed of the most common Jira actions. Wondering if you’ve got too many custom fields already? According to Rachel Wright, author of the Jira Strategy Admin Workbook, load time of your screens and your custom field admin page are good indicators. Also, note how long your custom field admin page scrolls. What should you do if you’re committed to limiting the number of custom fields, but still want to take advantage Jira’s flexibility? Who should decide when a new custom field is justified? And what should the criteria be for that decision? Start by putting a process in place that project leads can use for requesting a new custom field. Use the ProForma process template or the Strategy for Jira worksheet to gather information such as the proposed field’s purpose, type, screen schema and any needed validation rules. Will the new field be used by multiple projects? Will you query issues based on this field? Will you run a report of all the values in this field? Will it duplicate core Jira functionality? If you determine that a new custom field is indeed needed, pay special attention to creating it with the correct field type, as this cannot be changed later. Having the requestor provide examples of the data the field will hold will help ensure that you select the correct field type. (Or maybe you can suggest a better way to track the info altogether!) Give the new field a generic name so that it can be used by more than one project. Standard Jira fields can be manipulated to collect different data for different projects. 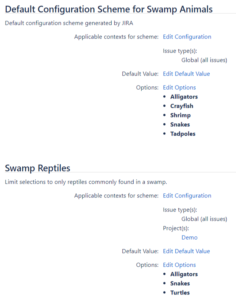 For example, the Jira field “Labels” can be used in different ways by different teams. A marketing team using Jira to track their production of marketing assets could use the Labels field to record the marketing campaign an asset is associated with. The same field might be used in a different project, by the facilities team, to record locations. You can use a field configuration to set a project-specific description of what should be recorded in the field, thereby prompting users to put in the right information. Another option is to collect the information on a form. Forms are an easy way for business teams to collect exactly the information they need without requiring changes and customizations to your Jira configuration. Teams can design, build and deploy forms that gather data structured to their needs and validated with their business rules. Many of the data points required to fulfill a request don’t need to be queried or reported on. 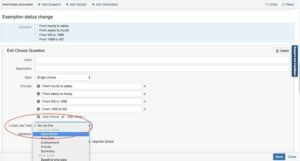 For those that do, the ProForma form builder makes it easy to “pipe” information from a form field to a Jira field. Finding the balance that allows you to maximize Jira’s flexibility without sacrificing performance is a key consideration when expanding Jira to business teams. ProForma can help. Getting off to the right start is always the best way to go. It’s not always reality. We usually inherit things – business processes, Jira applications, our parents’ bad habits, etc. In her excellent resource, the Jira Strategy Admin Workbook, Rachel Wright recommends starting out by creating a Jira Advisory Board. If you’re starting from scratch, this is a great first step. If you’re already using Jira, now might be the time to put your Board in place, especially if you’re considering expanding Jira to other teams in your organization. Deciding what customizations to create and support in order to strike a balance between giving teams what they need and maintaining a manageable, high-performing application. Setting standards for privacy, security, and storage and handling sensitive information. Developing a process for providing support for teams’ Jira projects. Determining what a successful Jira application looks like. What metrics will define success? Who Should be on the Advisory Board? Consider having your end user or your wildcard member come from a non-technical business team. Why Create a Jira Advisory Board Now? You’re probably thinking, we’ve managed this long without a Board, why do we need one now? If that’s the case, one of two things is probably happening. Either your Jira Administrator is handling everything on their own, trying to please everybody, and relying on their own knowledge for deciding what should and shouldn’t be implemented. Or you do have a group of people who work together to set standards and support Jira users – you just don’t think of them as an Advisory Board. 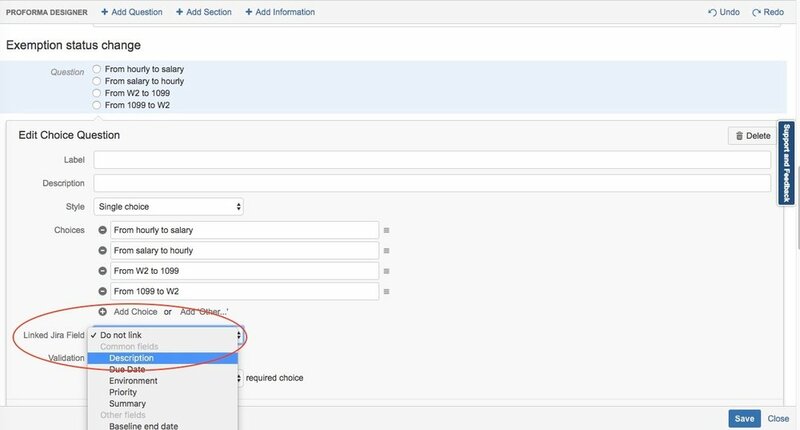 Expanding Jira to business teams will mean more requests for customizations; more custom fields, more screen schemes, more configurations. With each request, you will need to decide if it’s worth creating and supporting the new asset or whether an existing field, scheme or configuration can be shared. You’ll come to better decisions if you include multiple points of view. You’ll also be collecting more sensitive information. Consider all the personal information HR keeps on employees. You need a policy to determine what kinds of sensitive information can be stored in Jira. Expanding to business teams also means you’re inheriting all of the privacy and security standards that apply to those teams. Again, you don’t want to be deciding how to navigate that alone. Finally, teams may be skeptical as to how well a solution developed for IT can address their needs. That’s understandable. We’re all experts in our own areas. Having an Advisory Board that includes non-techies will help people feel more assured that their needs will be considered. Expanding Jira to business teams is a great opportunity to bring a tool you already know, love and support to wider use in your organization. Teams from Finance to HR will love handling their requests in Jira, being able to measure and predict their workload using Jira’s reporting and knowing that their backsides are covered with Jira’s end to end traceability. Along with making sure business teams’ conversion to Jira is done right (the reason you’re setting up that Advisory Board), it would also be nice to have it done easily. This is where ProForma Forms & Templates for Jira can help. 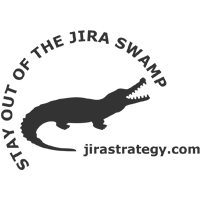 ProForma offers a template library and an easy to use form builder that puts teams in control of collecting exactly the information they require, without the need for custom fields, screens and configurations. You may actually find yourself doing less Jira admin even as you bring more teams into Jira. You can help your business teams have it all: a great tool, a well-governed application and an easy conversion. Jira began as a tool for software teams but has evolved into a tool for any team! Business teams can benefit from Jira’s task collection, lifecycle tracking abilities, and built-in reporting. Whether you’re on a Marketing team launching your next campaign, a Legal team preparing your next agreement, or a Human Resources team supporting people and processes, any team can track their work with Jira! ThinkTilt and Rachel Wright would like to see more teams experience the benefits of Jira. That’s why we’ve formed a new partnership “teaming up for business teams” to help you get started, thrive, and conquer your team’s “to do” list. We’re collaborating on a series of articles to help you on your way. Additionally, some of the worksheets from the Jira Strategy Admin Workbook are being added to ThinkTilt’s Process Template library. Even if your team isn’t technical you can still use high-tech tools! Email distros, spreadsheets, and shared network drives – be gone! Your team has a real issue tracking database now with Jira. ThinkTilt’s Jira app, ProForma makes it easy for business teams to build and deploy online forms, backed by Jira’s great workflow engine. Empower every team in your organization to take control of their processes and deliver first class request management. All the information you need, where you need it. Rachel Wright is an entrepreneur, process engineer, and Atlassian Certified Jira Administrator. She is the owner and founder of Industry Templates, LLC, which helps companies grow, get organized, and develop their processes. Rachel also uses Atlassian tools in her personal life for accomplishing goals and tracking tasks. 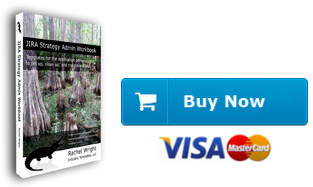 Her first book, the “Jira Strategy Admin Workbook“, was written in Confluence and progress was tracked in Jira! We challenge you to think of a type of team that wouldn’t benefit from Jira! We started out with the Strategy for Jira LinkedIn group, as a way to connect and discuss Jira strategy. Do you prefer Facebook? Join the new Facebook group at: https://www.facebook.com/groups/strategyforjira/ and post your question by emailing strategyforjira@groups.facebook.com. We’ll post updates and answers to your questions on both social sites. You’re free to start your discussion on either. It’s simple – be helpful and kind. There are no stupid questions. We were all new administrators once and there’s usually more than one way to do something. Please post your tips, ask questions, and answer questions about anything related to Jira strategy. Let’s make this informative and fun. Who wants to ask a Jira admin question? See you on social media! What’s the first thing you did this morning? Brushed your teeth? Drank coffee? Took a shower? Whatever you did, you probably used water. Many of us have no idea what it’s like to be thirsty. We have plenty of water to drink and use in our daily lives. That is not true everywhere in the world. Rachel Wright, President of Industry Templates, LLC and author of the Jira Strategy Admin Workbook has made a donation to DreamHost‘s 20th birthday partnership with Charity:Water. 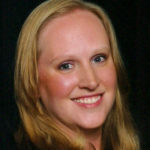 Rachel has hosted all her business projects with DreamHost since 2003 and continues to be a very happy customer. DreamHost is matching up to $10,000 of donations until Dec 31, 2017. Charity:Water helps build projects that provide clean drinking water to people in need worldwide. Industry Templates, LLC is a member of Pledge 1%, a corporate philanthropy movement dedicated to making the community a key stakeholder in every business. As a proud member of this program, we annually donate 1% of sales, product, and employee time to help the community. Join the Give With DreamHost! campaign and help prevent diseases caused by unsafe water and poor sanitation. Thank you for your non-profit work! We applaud your passion, drive, and desire to make the world a better place. We are pleased to support the community with a limited number of free digital copies of the JIRA Strategy Admin Workbook so you can make the most of your JIRA application! To be eligible, organizations must have 501(c)(3) status or your country’s equivalent. Please request your digital copy by completing the form below. What is the legal and DBA name of your not for profit organization? Where can we verify your non-profit status? Please provide an email address containing your organization's domain name. I certify the organization is not for profit. We reserve the right to grant or deny an organization’s application or participation at any time, for any reason, and to supplement or amend eligibility guidelines at any time. Rachel Wright was honored again at the semiannual Atlassian Summit user conference in Barcelona, Spain. She received the Atlassian Community “One of Us” award. 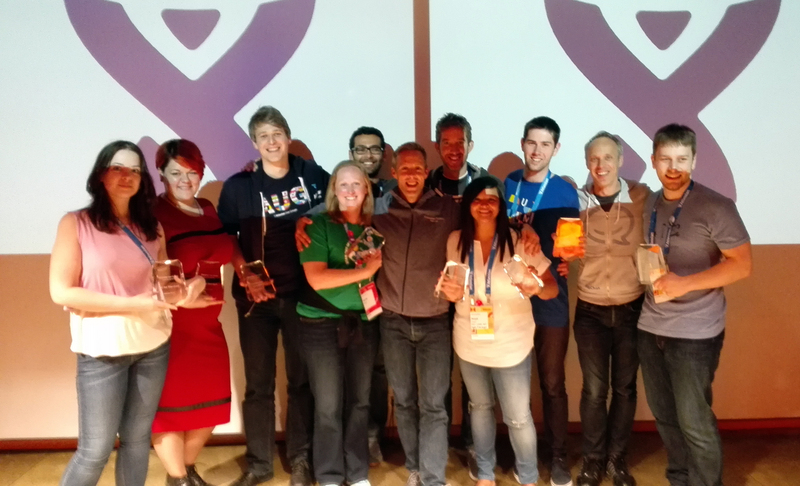 The awards were announced on May 2, 2017 before a packed room of Atlassians, User Group Leaders, and Community members. “This award recognizes a Community advocate who brings a level of positive engagement to the user group community. They consistently find ways to stay engaged in their local communities, the AUG program and with the Community team. 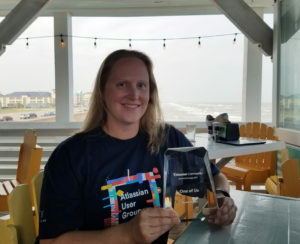 Rachel Wright joined our Northern Virginia user group 4 years ago and since then, she has gone on to mentor new leaders, author the JIRA Strategy Admin Workbook, and she is literally an extension of our team. She often creates necessary Confluence pages without us asking (including the Summit Europe travel guide! ), is always happy to help us configure our user group leader JIRA instance, and welcomes each new leader warmly.